Real tests earlier in the design/development process. The ability to rapidly characterise and identify flaws in a design. Shorter times to market with a 'mature' product. A variant of HALT is HASS which is a fast screening method for production, basically an enhanced ESS (Environmental Stress Screening) method. First developed in the USA during the 1980s, Highly Accelerated Life Testing (HALT) is a practical rather than a predictive method – MTBF and MTTF data are not generated. This testing methodology is particularly suited to products in the development or prototype stage. This test method has been proven to expose design flaws within hours when traditionally this has taken many days or weeks using conventional test methods. 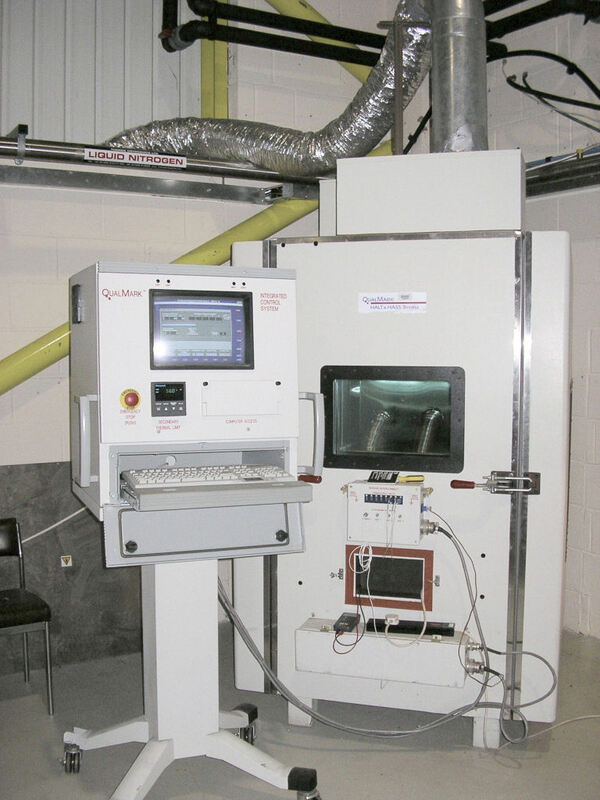 A key difference between HALT and traditional accelerated life testing is that stress factors, such as high temperatures, are applied directly to the component or sub-assembly under test and not to the system as a whole. This can make a great difference in speeding up failure rates. The HALT chamber is LN2 cooled to give rapid thermal transitions i.e. 60C/min between –100 and +200C and gives random vibration in 6 axes, three translational, three rotational simultaneously over a broad frequency band (2-10000 Hz), up to an intensity of 60grms. The method is an extension of accelerated life testing. The test levels used are not based on operational data. Thermal and mechanical stimuli are applied separately and then together in order to determine the operating and destruct limits of the item under test. The operating limit is defined as the point at which the unit stops operating but returns to operation when the stress level is decreased. The destruct limit is the level at which the product stops functioning and remains inoperable. At this stage, all major flaws in the design should be exposed; most may require a simple fix, some may require major modification. It may also be considered that the design is sufficiently rugged and that no further action is required. HALT is an iterative process in which the reviewing of these results is used as a crucial step in the fault finding investigation. 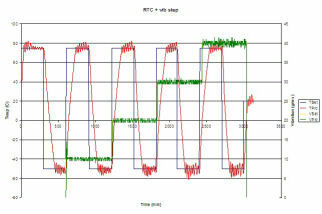 The HALT results are generated for use in combination with other product observations and testing work to locate faults as quickly as possible.